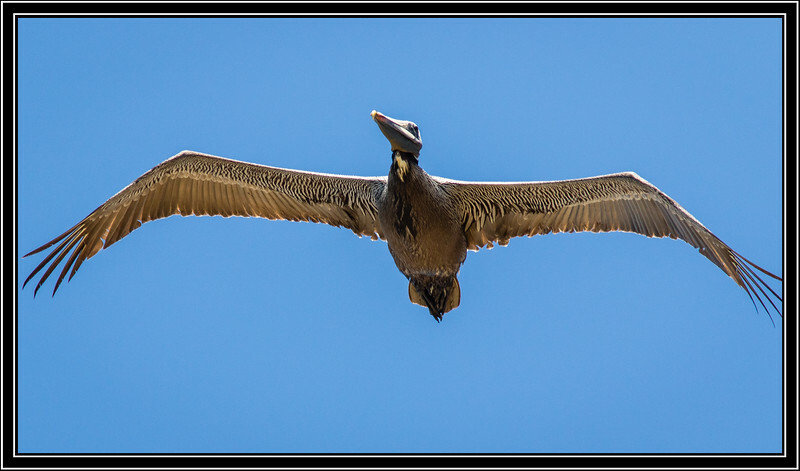 Rancho Palos Verdes, CA - Point Vicente - Brown Pelican Fly Over Link to Photo Without Frame Thank You for Making this Daily Photo the # 1 Pick on 02-28-2018. Great shot of this flying pelican. Neat capture. You always have such a great variety of subjects in your daily posts. Excellent capture of this Brown Pelican in flight. Great BIF and superb details.